We are living in global age and this globalization is the strength of Mass Communication and Media around us, which integers the need of higher studies and strategic research to look into issues to benefit the society. In this era, we need to be concerned about the affects of globalization, revolution in the media technology and socio- cultural impact on people’s minds regardless of age, race and gender. 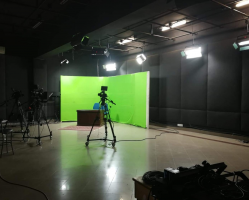 The University of Gujrat is privileged to introduce the Centre for Media and Communication Studies, in a less privileged district of Gujrat can compete to any world class Centre for mass communication studies CMCS. The Centre for Media and Communication Studies feels proud to be linked with University of Oklahoma under the public affairs section of the US State Department. This linkage will benefit and strengthen the UOG’s capacity to produce research based investigative and analytical journalism, to help UOG develop programming for its FM radio station and TV studio to develop UOG capacity to do qualitative and quantitative marketing research and advise on curricular and co- curricular matters from bachelor’s to PhD degrees. providing an innovative and learning environment to ambitious students. 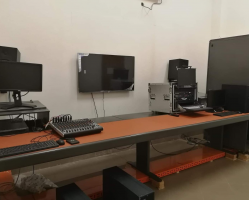 The Centre has FM radio 106.6 and a computer lab with internet facility. 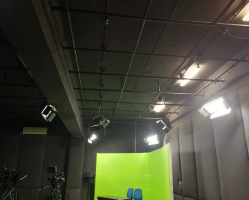 A TV studio is also in the planning. 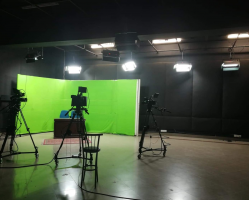 The course inculcates democratic values and professionalism among the students through expertise in journalism and mass media. So, this is the place where you can enhance your capabilities.